This particular Talking Technique Episode got a lot of views, thumbs up and shares. Of course, you can also find the tips for proper technique in it. 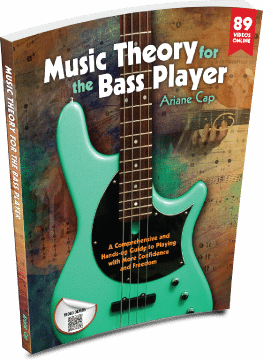 And a recommendation for one of my favorite bass books. What do you think, are you up for some “burps” in walking bass? They are often referred to as “skips” as well. By the way, it all started when Lionel asked about these “burps” (his expression) in this episode on “Killer Dead Notes“. And learn more about music theory for the bass player, including stylistic analyses and walking bass in my course, Music Theory for the Bass Player. Great lesson! I wonder if The Jazz School would have copies of Mike Richman’s book. I played with him years ago, and as far as I know, he is still on staff there. I have not seen him around for a long time. The book is harder and harder to get these days. Thank you for your compliment! How do you mute (for dead notes) the string below the sounded one?